When he was a young boy, Johntrell Bowles and his family relied upon a strong community to survive. He, his mother and seven siblings were homeless for two years before the children were placed into foster care in the Chicago area. Throughout that time, the family received support from homeless shelters, the Salvation Army and good Samaritans for basics like food, clothing and a roof over their heads. Now a thriving second-year student hoping to major in global public health at the University of Virginia, Bowles is looking to his roots, drawing inspiration and giving back wherever he can. Bowles’ first interaction with the Salvation Army came when he was a youngster, and his family enjoyed Thanksgiving and Christmas dinners at the charitable organization. It all seemed quite normal to him. “When we were homeless, we would go there to get clothes and gifts,” he said. “I remember one night, I was in the first or second grade. Some people brought black garbage bags full of gifts. I didn’t think much of it. I was just supposed to have it. Bowles is still going to the Salvation Army, but now as a helper. 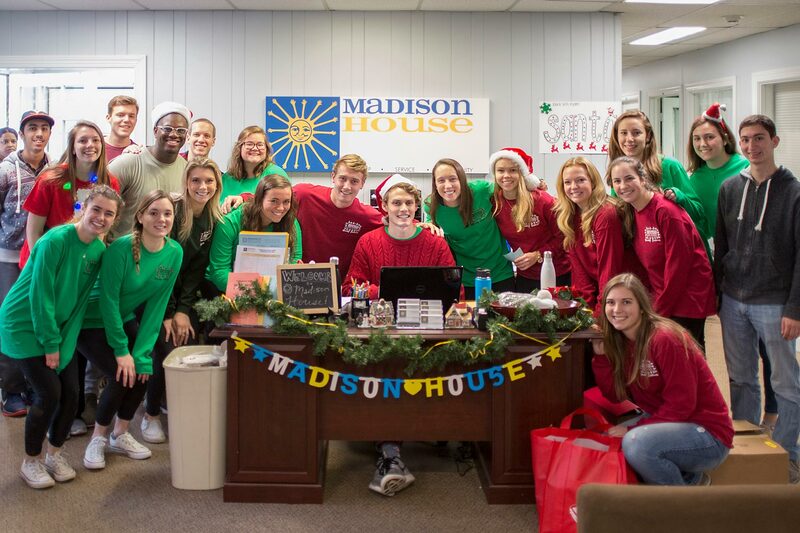 He volunteers with Charlottesville’s chapter through Madison House at UVA, which connects students with local service opportunities. He enjoys the Holiday Sharing program, which collects food and gifts for low-income and homeless families in Charlottesville. It all comes very naturally to Bowles. “I’ve been here before, and of course there are other people who are in the same predicament, so why not give a lending hand when I can?” he said. Bowles and his siblings entered foster care when he was in the fifth grade. His mother was diagnosed with congestive heart failure and could no longer care for her children. He and three of his siblings were sent to live with a single, foster care mother who had a home on Grant Street in Gary, Indiana. Just two blocks away stood Methodist Hospital. “It was all because of my mom,” he said. “After she got diagnosed with congestive heart failure, I knew that I just always wished there was something I could have done for her. I just wanted to give back to other people because I’d been blessed with so many opportunities and different people in my life. The hospital experience was formative. Bowles went from greeting patients to assisting in the emergency room. He became, at the age of 17, the youngest-ever student in a Methodist Hospital program that teaches mainly medical students skills like administering X-rays, MRIs and CT scans, using cadavers. He was such a novelty that The Associated Press made a news video about his experience. Today, Bowles, who aspires to be a doctor, works as a medical scribe. In that role, he’s like a personal assistant to the physician, documenting and gathering information in electronic health records for patient visits. During school breaks, he returns home to sit in on medical exams and document patients’ care. Bowles is also a Questbridge Scholar. The program connects the nation’s brightest students from low-income backgrounds with leading institutions of higher education, which in turn provide scholarships. He learned about the program in his senior year at 21st Century Charter School in Gary. A straight-A student, Bowles landed the award and was soon on his way to UVA, sight unseen. It was a perfect match, he said. The combination of academics, a diverse community and good athletics programs was a huge draw. With a year and a half at UVA under his belt, Bowles is mentoring new Questbridge Scholars with tips on financial aid and getting around Grounds. In his sophomore year of high school, in addition to volunteering at Methodist Hospital, Bowles got a job at a Burger King 28 blocks from his home. He bought a bike so he could make the trip down the busy streets. Hear more from Bowles and meet other members of the UVA community at this admission site. When he was young, Wei Lin’s immigrant parents depended on volunteers to help complete their tax forms. Now a UVA student, he leads a Madison House program that helps thousands file their returns. Now an admissions professional and soon to be a “triple ’Hoo,” Christian West says UVA challenged him to be confident in his abilities and to reflect on what he is passionate about. Second-year student Nicole Leal is active in numerous student and community organizations and mentors students who, like her, could be the first in their families to attend college.